In their recent article, “An Empirical Examination of Public Involvement in Public-Private Partnerships: Qualifying the Benefits of Public Involvement in PPPs,” in the Journal of Public Administration Research and Theory, Eric Boyer, Professor of Public Administration, David Van Slyke, Associate Dean and Chair of Department of Public Administration and International Affairs, and Juan Rogers, Professor of Public Policy, investigated the role and impact of citizen engagement in transportation-focused public-private partnerships (P3s) in the United States — cross-sector collaborations involving state and local transportation departments, private investors, designers, and construction firms. Previous literature on this topic suggests that the public sector engages with citizens only when and to the extent that it is required to do so. In their research, however, Boyer, Van Slyke, and Rogers found that both the public and private sectors viewed public involvement as valuable beyond simply fulfilling a requirement, with the public sector often going above and beyond in citizen engagement. Why is this the case? Through surveying experienced practitioners from both sectors, the authors found that citizen involvement during planning stages of transportation P3s contributed to better project outcomes and the delivery of quality services. In a recent conversation with The Intersector Project, Boyer shared that citizen engagement provides “an instrumental performance-related benefit” beyond satisfying citizens’ right to have a say in their government — a benefit that transportation decisionmakers can see in their results. P3s in transportation involve substantial investments of public and private resources, so their success is crucial. But the success of these projects relies heavily on citizen use. For example, if fewer citizens than anticipated use toll roads or a new transit line built by a P3, the partnership does not make its money back. Public involvement ensures that partners are receiving what Boyer refers to as a “localized user perspective,” which can contribute to a successful project that is useful to the community. While this article focuses primarily on public-private partnerships in transportation, the authors’ findings are relevant to any collaboration where success depends on citizen use, from public planning projects like local parks and pedestrian zones, to client services, like programs for the homeless or child services. Discuss each partner’s goals for what they want to learn from the community and involve citizens early on in the planning process. The authors found that the most useful information citizens can provide is information about local conditions. Partners in transportation projects often make early key decisions about their projects based on design expertise or research, which are important aspects of project design, but which don’t always take into consideration how a particular community will use their project. This can potentially leave partners with a finished product that doesn’t fit the community’s actual needs. To gain this localized perspective and safeguard against failure, partners should engage the public early in the partnership, before many resources have been devoted to moving forward on the project. For an example of how a cross-sector collaboration involving the New York City Department of Transportation (NYC DOT) involved citizens early in its planning process, see our case study Creating Safer Streets for Pedestrians in the Bronx. Input from the community was used by the NYC DOT to develop an initial streetscaping plan that was presented to local residents, businesses, the Community Board, and a community-based non-profit for review — which resulted in the incorporation of green space and greater accessibility to bus platforms by elderly residents. Use web-based platforms to not only distribute project information but also to solicit community feedback, in addition to holding traditional public meetings or hearings. Instead of simply presenting information about a project to the public through a website, partnerships should ensure that they’re creating avenues for the public to engage with their plans. Two-way communication allows public and private partners to benefit from localized user perspective by learning how citizens will actually use the outcome of the P3. In order to receive a wide breadth of responses, it’s helpful to make use of both in-person meetings and web-based platforms. Public meetings provide a unique opportunity for in-person user feedback, while web-based platforms allow a collaboration to reach the citizens who typically will not show up for a public meeting. Website: Virginia Public-Private Partnerships’ website provides a great example of how a partnership can keep the public informed about its projects. Web-based platforms: For a list of web-based platforms that help encourage two-way communication, see 50 Tools for Online Public Engagement from Community Matters. In-person meetings: The Municipal Research and Services Center walks you through a variety of in-person meeting types in Communication and Citizen Participation Techniques. Formats include open houses, workshops, focus groups, and more, and each is presented with several helpful real-life examples. If you’re looking for advice specifically for transportation projects, see the Federal Highway Administration’s extremely detailed Public Involvement Techniques for Transportation Decisionmaking, which provides information on different types of meetings and advice on who should participate, how to organize them, and how to improve attendance. 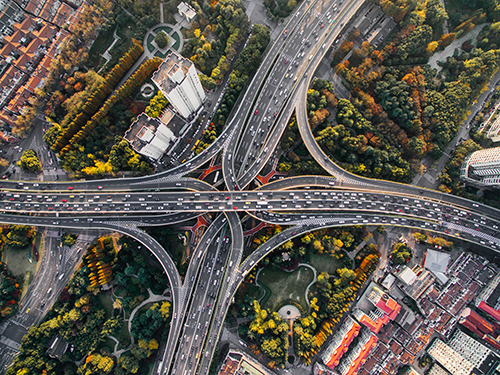 The Federal Highway Administration’s centralized resources on P3s serve as a digital community for multiple agencies to source expertise and guidance — See its P3 Toolkit, for example. The Knowledge Network is an online community from the International City/County Management Association (ICMA) that allows government officials to ask and answer questions about the issues facing local government today and easily share experience and expertise with colleagues in need. Check out the Network’s Collaborative Service Delivery topics for previously asked questions, blog posts, documents, and articles related to partnerships. P3 Public Engagement Guidelines This guide will be useful for identifying and explaining opportunities for citizen engagement throughout various stages of transportation P3s, as well as gaining the localized expertise and experience of community members.